Yannis Kyriakides was born in Limassol, Cyprus in 1969 ,emigrated to Britain 1975 and has been living in the Netherlands since 1992. He studied musicology at York University, and later composition with Louis Andriessen. He currently lives is Amsterdam with his wife and two sons. As a composer and sound artist he looks for ways of creating new forms and hybrids of media that problematize the act of listening. The question as to what music is actually communicating is a recurring theme in his work and he is often drawn to the relation between perception, emotion and language and how that defines our experience of sound. 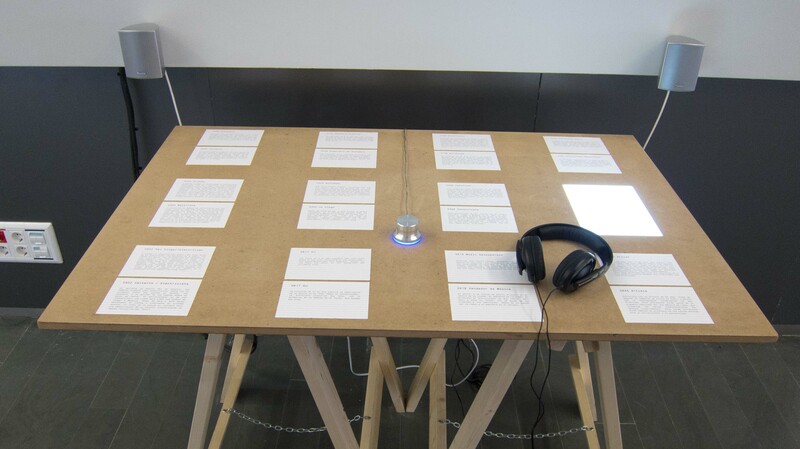 In the last years his work has been exploring different relations between words & music, both in concert compositions and installations through the use of systems of encoding information into sound, synthesizing voices and projecting text to music. The latter work has led to about 15 music text films that play on the idea of imagined or inner voice, and presenting a surrogate of it through music. His has written over a hundred compositions, comprising mostly of music theatre, multimedia and electroacoustic works for chamber groups and large ensembles. His work has been performed worldwide at many of the prominent music festivals, and by many leading contemporary music ensembles. His opera An Ocean of Rain, opened the Aldeburgh Music Festival in 2008. He has been featured composer at both Huddersfield Contemporary Music Festival 2007 and November Music 2011 (NL). 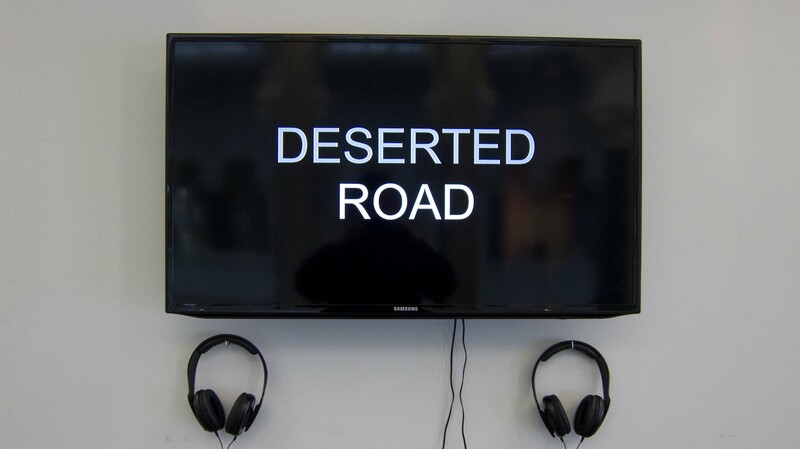 Recently his sound installation work has been receiving more exposure and he contributed two works for the Dutch Pavilion at the Venice Biennale in 2011. In 2000 he won the International Gaudeamus Composition prize for his composition ‘a conSPIracy cantata’. 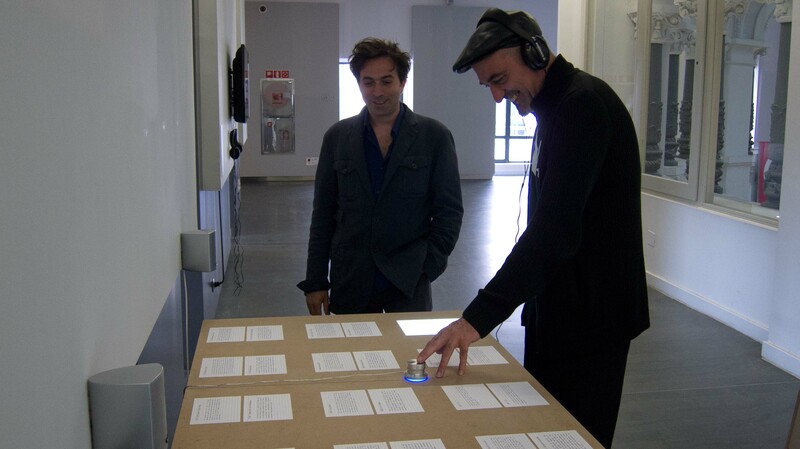 The CD ‘Wordless’, recieved an honorary mention in the Prix Ars Electronica 2006, and his recent CD, Antichamber won a 2011 French Qwartz Electronic music award. Other prizes include the Dutch Toonzetters prize for best composition of 2010 for Paramyth, and the Willem Pijper Prize for Dreams of the Blind. Together with Andy Moor and Isabelle Vigier he founded and runs the CD label for new electronic music ‘Unsounds’ . He is a member of the ensemble Maze, and teaches composition at the Royal Conservatory of Music in The Hague. The source material are interviews of Brussels residents from the BBOT/BNA archives. The recordings are edited in such a way as to leave everything but the words. This is then resampled. The wordless interviews are mixed binaurally for the headphones, while the rest of the musical material comprising of resonances, pulses and noise are mixed in the space, so that there is a play between internal and external sound sources. The form of the piece also takes the shape of a wordless narrative telling a story in sounds that are based on the original interviews. Varosha is the name of the abandoned tourist suburb of Famagusta in Northern Cyprus. It was left uninhabited since the summer of 1974, evacuated at the time of the Turkish invasion; a ghost town inaccessible to anybody except military personnel. In its heyday Varosha was one of the most popular holiday destinations in Cyprus and the Eastern Mediterranean, having undergone extensive hotel development to cater for the expanding tourist industry. Since then the area has been fenced off and kept as a possible bargaining-chip for peace negotiations, which never transpired. Today the buildings are beyond repair, uninhabited and unmaintained for almost forty years. The resort is crumbling, the once lavish hotel structures are yielding to nature’s persistent pressure. Varosha also happens to be the location of my earliest memory. At the time of the invasion in July 1974, my family and I were spending our summer holidays there. Almost 5 years of age, I remember hearing sirens and running into the basement of the ‘Hotel Loiziana’, where we eventually spent the day drawing pictures on the concrete floor, with the chalk that was being dislocated from the limestone walls by the bombing outside. Returning there again in 2008 and seeing the derelict façades of these hotels from a distance, was an unnerving experience. Knowing that one’s earliest memory was formed on the very day that time stood still there, was like being confronted by the image of memory itself. The installation, ‘Varosha (Disco Debris)’ was born out of an association with a group of artists, under the collective name ‘Suspended Spaces’, that took Famagusta as subject matter for an enquiry into what happens to places and spaces whose development is obstructed by political or economic conflicts. 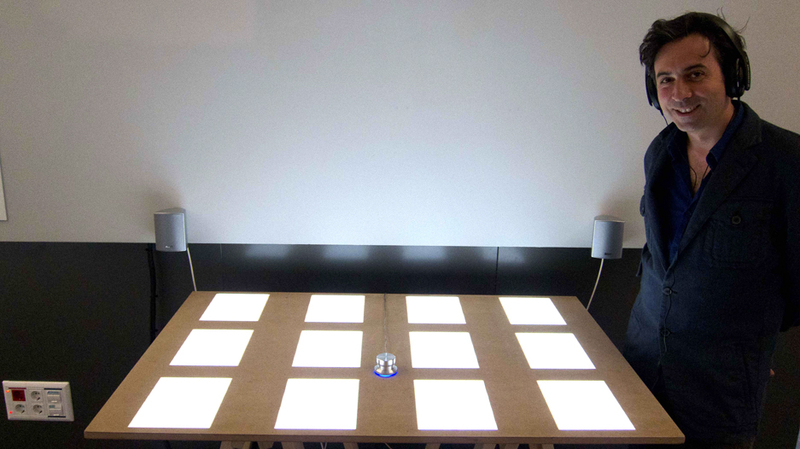 The initial form of the installation was created for the group exhibition that took place at Maison de La Culture in Amiens, France in early 2010. In this version the public would enter one at a time into a dark neutral space, in which they would experience the sensation of metaphorically walking through sonic debris. One would stumble onto a landscape of frozen voices, barely recognizable shards of 1970’s pop music, static bird song, broken pulses of disco music reduced to an almost Geiger like clicking, ghostly resonances. These imaginary spaces were mapped onto a topography of intersecting voices and sounds, slowly transforming over time. Technically this was achieved by using a video tracking system that mapped the movements of the audience onto a granulated moment of sound. The position of the person in the space would determine which moment in time would be heard, as if they were a play-head of a tape machine, or a stylus of a record player, exploring the sonic tracks of an invisible architecture. Rebetika Performance with Andy Moor was part of Centro Centro show. Andy Moor (guitar) and Yannis Kyriakides (computer) lovingly deconstruct and reassemble their favourite rebetika music in a set of 9 pieces that encompass a wide scope of musical vision. This is an unusual and original take on the so called “blues” music of the Greek diaspora of the early 20th century.